Botox is a toxin called Botulinum that is produced by common naturally-occurring microorganisms. Although described as a neurotoxin, patients need not feel apprehensive. The toxic effects of Botox relate to the doses used and it has been estimated that over a litre of Botox would need to be used to cause harm when in practice only 1-2mls is used! Botox has been used safely and effectively for over 40 years in numerous FDA approved applications. Various forms of Botulinum toxin are available for clinical use. At Encorė we have both Botox® and Dysport® available. Botox® was originally developed in the 1970’s to treat crossed eyes. It soon proved effective for a range of conditions including eyelid twitches, muscle spasms, excessive sweating, and migraines. By chance a Canadian Dermatologist, Dr. Alistair Carruthers was married to Jean an Ophthalmologist. Jean was using Botox® for ocular issues including eyelid twitches and soon patients began commenting that some of their wrinkles had improved. The pair realised that Botox® could be used to treat the small facial muscles that are largely responsible for frowning, crows feet and forehead lines. Alistair began using Botox® as a cosmetic treatment in his Dermatology practice in the late 1980’s. By the early 1990’s Botox® was introduced to the specialty of Dermatology as a treatment for facial wrinkles. It is now FDA approved for the treatment of wrinkles and is used in billions of people worldwide each year. What causes wrinkles and what are Crows Feet? These are caused by the repeated contraction and tightening of muscles over time. Crows feet ( wrinkles around the side of our eyes), forehead lines and the ‘grumpy’ lines (between our eyes/at the top of our nose) are common examples of dynamic wrinkles. 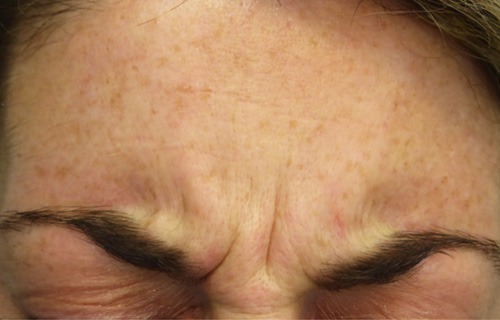 These types of wrinkles are the most responsive to Botox. These are largely caused but wind, sun damage and the effects of time on our skin. 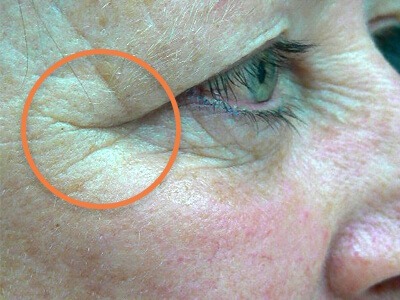 These types of wrinkles are present even when we are not forming facial expressions. The reality is that most people over 40 will have a combination of both types of wrinkles, whereas younger peoples wrinkles will usually be just the dynamic type. Luckily Botox can help reduce wrinkles in almost everybody so if you are serious about improving the appearance of your wrinkles Botox may be the right treatment for you. How does Botox work on Crows Feet and other wrinkles? Normally in order for us to squint, frown, look concerned or form other facial expressions, our nerves release a neurotransmitter called acetylcholine. Because this binds to our small facial muscles making them contract. Botox and Dysport work because they bind to the acetylcholine receptors thus blocking the acetylcholine from working and resulting in a reduction of muscle contraction. It takes about 48-72 hours for the Botox to bind to the muscle receptors and start reducing muscle contraction. Results typically become noticeable within 5-10 days after treatment when patients overlying skin will appear less wrinkled and even smoother. Botox is most useful for dynamic wrinkles Wrinkles that appear when muscle contracts – eg crows feet. It can also be used to help soften wrinkles that are present even without muscle contraction. It is a quick, safe procedure requiring no local anaesthetic. It causes minimal discomfort and has no serious side-effects. Treatment is simple and involves the injection of small amounts of Botox or Dysport into the small facial muscles of the targeted area. The procedure is quick and uses a very fine needle which does not penetrate deeply. Several specific locations within each treatment area are targeted. Mild bruising, redness and small bumps may occur at the injection site immediately after treatment. These effects are short-lived and most patients experience little to no recovery time. Treatment is very safe if performed in expert hands. Dr. Bellaney has been performing Botox treatments since 1996 and is one of the most experienced practitioners of Botox in the country. The initial treatment usually lasts three to four months. Subsequent treatments tend to last longer and, in most people, last four to six months. Generally, only two to three treatments are required each year to maintain the results. Are there side effects and how long does treatment last? Worldwide, several billion people a year have Botox® treatment. It has an extremely good safety profile. There have been no serious side effects when used for cosmetic purposes at the correct dosages. 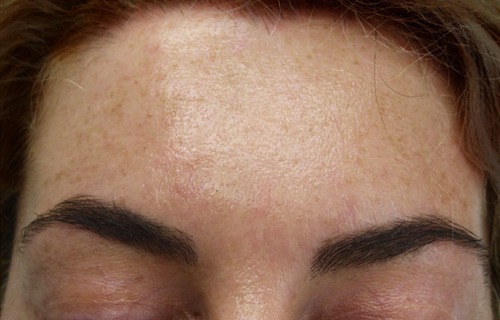 Some of the more troublesome side effects such as eyebrow droop and significant bruising are usually related to the technique of the injector. Botox is only available in New Zealand on a medical prescription. For both these reasons it is important to ensure that you are having treatment performed by a well trained, medically qualified practitioner and that you are receiving genuine product – there are now a number of fake or inferior products entering the NZ market. That said, the most common side effects are bruising, redness, temporary discomfort or small raised lumps at the injection sites. All of these are usually mild and of short duration. Eyelid droop is known to occur in possible up to 1% of patients but is usually quickly reversible with the use of eyedrops. Other side effects such as allergy are very rare. Any additional units are $16/unit for Botox® and $7/unit for Dysport®. *based on 20 units of Botox®. It is recommended that patients who bruise easily should discontinue any ‘blood thinners’ at least 3 days before treatment with Botox. This not only includes medications such as Aspirin or Dabigatran but also over the counter medications such as fish oil, Omega -3, flaxseed oil and anti-inflammatories. Discontinuing these medications is not necessary for everyone, but if you are concerned about bruising it’s a precaution to take. Do not discontinue medications prescribed by your doctor without consulting with them first. It is recommended that after having a Botox treatment you avoid exercise or vigorous activity for about 4 hours, avoid pressure on the area of treatment, and avoid bending or lying down.